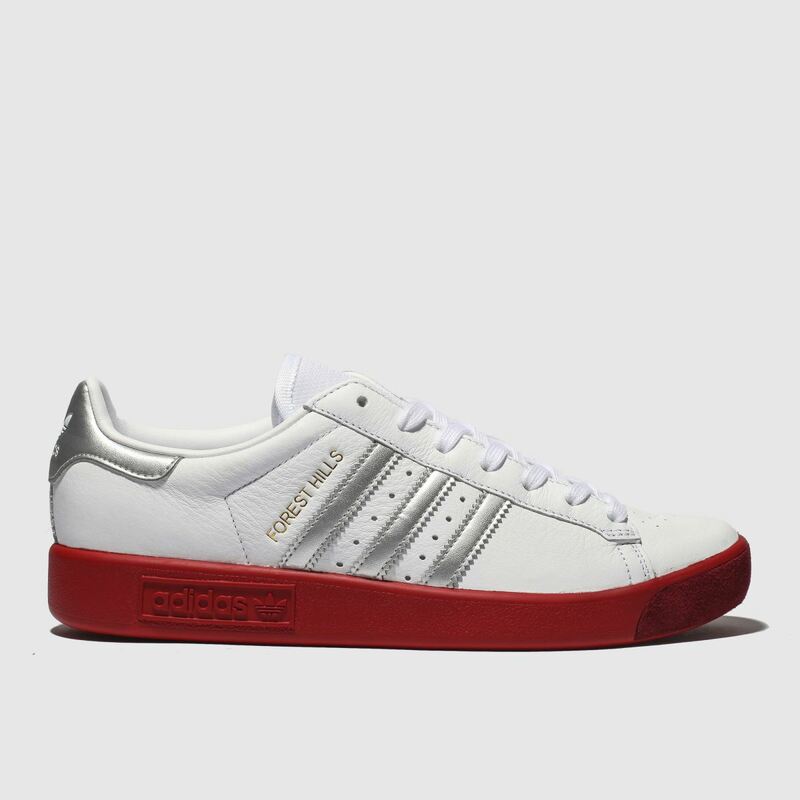 Revive that slick 70s sneaker look with the Forest Hills from adidas. 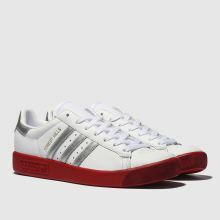 This crisp white tennis-inspired trainer boasts a supple leather upper and metallic silver 3-Stripes for a futuristic appeal. 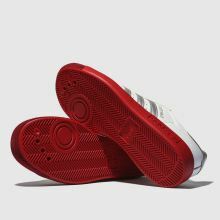 A vibrant red polyurethane sole gives a retro-tech finish.